Bitfi is a newcomer in the world of crypto hardware wallets backed by the controversial John McAfee making some bold claims. Bitfi is advertised as the world’s first and only unhackable storage for digital assets and there is a bounty program available to back that claim with $100000 USD reward. 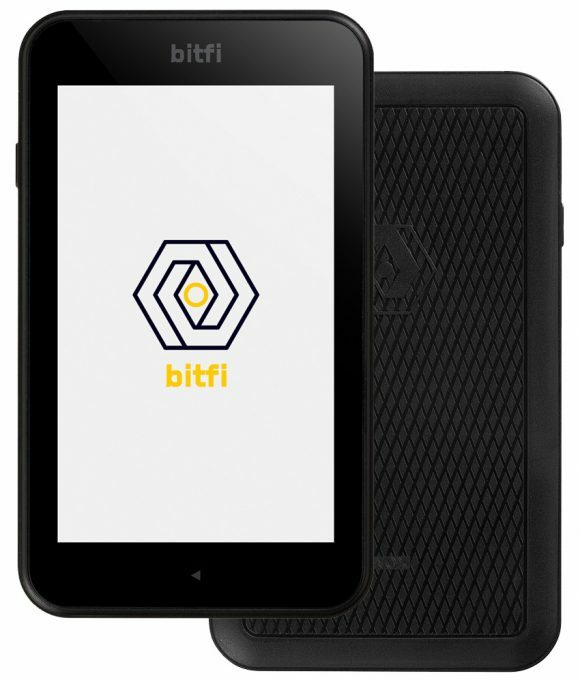 It is nice marketing and the website of the Bitfi wallet seems like more marketing oriented than usability and information centered to possible customers that are into crypto, maybe the target is on users that are new to crypto and don’t really know what they should expect to get from a hardware wallet other than security. According to the information available Bitfi currently supports Bitcoin (BTC), Monero (XMR), Litecoin (LTX), Ethereum (ETH), NEO and Ethereum ERC-20 tokens such as Docademic (MTC), EOS, ENG, OMG, etc. The Bitfi wallet is priced at $120 USD (approximately 100 EURO) and you can purchase it with a credit card or you can also pay with Bitcoin (BTC).